Found this guy at a small park not far from home. He was about 1.5 cm long. Submitted picture to bugguide.net and they identified as Spot-sided Coreid (Hypselonotus punctiventris). 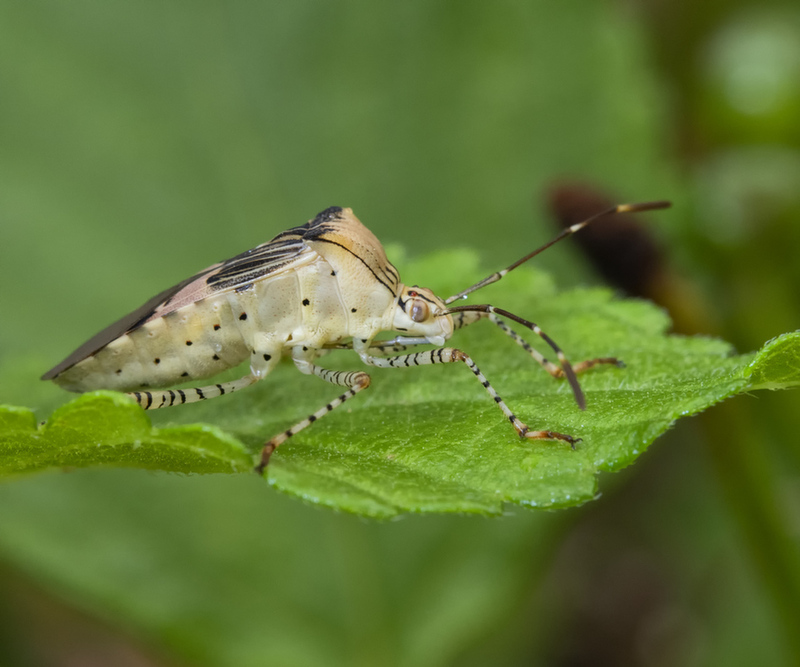 This species is a Hemiptera (the order of insects called True Bugs) and a member of the Leaf-footed Bug family. Nikon D500 with Sigma 150 mm macro, IS800, 1/30, f.16. Thanks in advance for any comments, criticism, or suggestions. Fine image - love the low angle. A neat species, much more interesting the the brown leaf-footed bugs I've seen. Nice image. Horizontal leaf works well for composition. interesting bug. Nice work Bruce, plenty of detail, a good low angle and lighting is good as well.